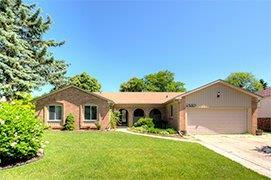 Large ranch located on a beautifully landscaped lot with privacy! As you step inside, you will immediately feel at home. The spacious living room comes complete with a wonderful bay window and crown molding that provides warmth and charm. 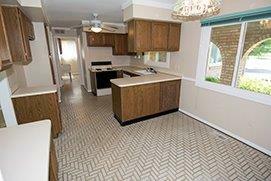 In the kitchen, an abundance of beautiful cabinetry, counter tops, and a separate eat-in area are sure to impress. For intimate dining, show guests to the dining room where a romantic chandelier create the ideal atmosphere for any special occasion. At the day’s end, lounge in the wonderful family room. Vaulted ceilings and a floor-to-ceiling brick fireplace is the center piece of the room and will produce an environment of rest and relaxation. Alternatively, you can enjoy a bit of nature during any season in the four season room, with its walls of windows making you feel like you are outside. Three bedrooms, including a sizable master suite, offer ample sleeping quarters for residents and guests alike. The two additional bedrooms include spacious closets and windows for plenty of natural sunlight. On a nice day, step outside and enjoy the private yard and mature trees. This wonderful Ann Arbor real estate could be one that you’ve been looking for, call and schedule a showing today!